Come follow Blake Karrington as he once again takes you on a ride through the gritty dirt roads of the South. 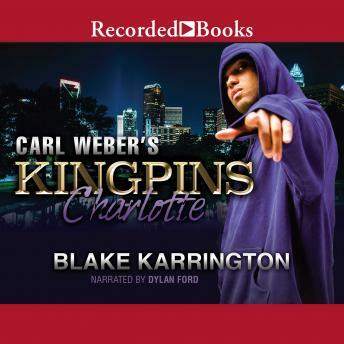 In this suspenseful Southern tale, we are introduced to King, a southern born and bred hustler who is determined to take the drug empire handed to him by his father into the legitimate world of the music industry. Little does he know that when the streets birth you, trying to leave can be deadly. King's life is looking good when he meets a beautiful, classy queen. Sloan is a college-educated, hardworking Neo soul singer. She has always tried to do the right thing, but when something from her past comes back to haunt her, it could destroy the love she and King are building. Hang on, while Blake Karrington shows you what has made him the king of Southern street tales.